Looks like it has the correct side skirts too. 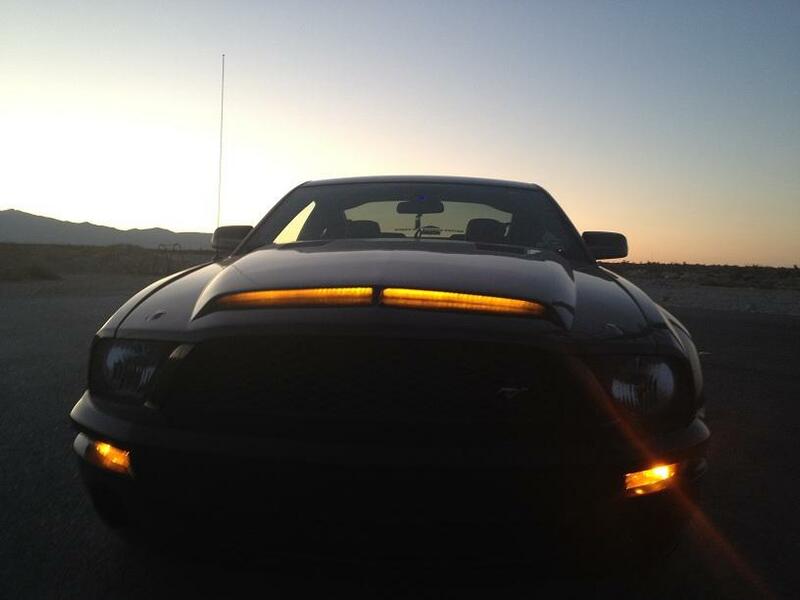 86678, the square thing you're referring to on the Mustang is a light shield for the factory HID headlights. They were an option on 2008 and up. Looking at the turbo boost sequence, the 3000's engine looks more like an experimental rotory engine. I was looking at it too. It's a GT dressed (incompletely) as an 07-09 Shelby Super Snake. The movie looks interesting! I'n still working on my KARR 2.0. Almost done with the body work. I'm here, but unfortunately unable to attend because of work. +1 to krkitt. Jason does great work! It already has a scanner. It just wasn't on. New Fifty year Alcoas are on!! 4 20x9 with 255/35R20 Firehawk Indy 500 wide oval tires. Went right down to Shelby headquarters to pick them up. I wouldn't reccommend cramming 5 20 inch wheels into a Mustang. They sold out in 4 days. www.championmustang.com carries the KR headrests. I was thinking about picking up the skullcaps from Trufiber. I have their hood in carbon fiber and it's holding up well to the Vegas sun. I just replaced my neon dash lights with LED strips and added red ones that can be switched back and forth. Thanks for the info!! Set up for 5 20x9s!!! Do you have any pics or vids of the holo gauges? Topic: Knight Rider Festival IV - Who's going? Re: Knight Rider Festival IV - Who's going? I won't be making it. My car's not close to complete, especially with Shelby discontinuing the wheels, and I'm on a business trip in New Mexico. Here's a link with pics that may help you a little.